Wednesday - Many people’s favourite day as it features two wonderful chase championship races. At 2.40 is the RSA Steeple Chase over 3 miles and half a furlong which is competed for by young chasers whose ultimate aim will be the Gold Cup in a couple of years’ time. This is immediately followed by the Queen Mother Champion Chase over 2 miles, where jumping and speed are the attributes required to succeed in this event. For those of you who really enjoy watching horses over the bigger obstacles, this is a day that you will really enjoy with these two great races. We have introduced a great value for money package which offers a cut down marquee hospitality package with our magnificent steam train transfer included. The marquee is positioned close to the Parade Ring and viewing areas. 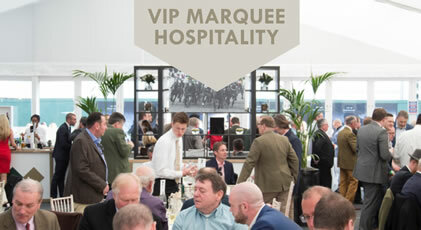 Our VIP Marquee is situated in a prime position by the Guinness Grandstand offering easy access to the Parade Ring & viewing areas. 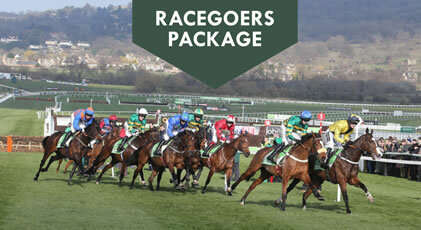 Full hospitality is included and your day will further be enhanced by our celebrity tipsters. 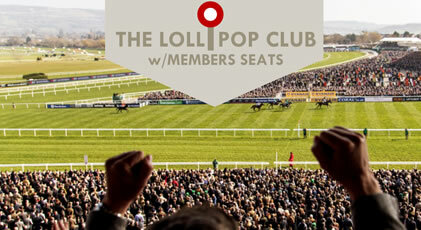 The Lollipop Club is a shared 60 seater suite on level 5 of the main Grandstand. It overlooks the rear of the racecourse but comes with reserved members seats located directly overlooking the winning post (level 3). The seats are yours for the day and are only a short walk away from the suite. 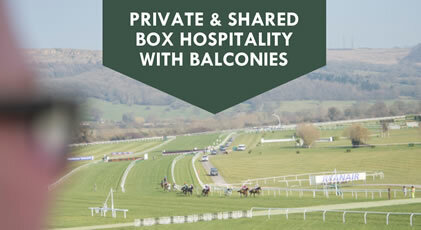 Our Grandstand boxes are located on levels 4 & 5 of the main Grandstand and can accommodate 12 - 16 guests privately. 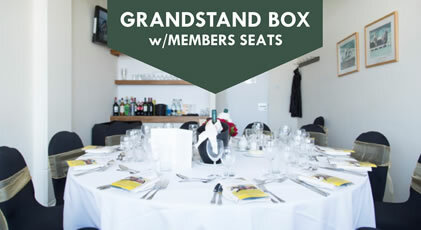 The boxes overlook the rear of the racecourse but come with reserved members seats located directly overlooking the winning post (level 3). The seats are yours for the day and are only a short walk from your private box. Click here for further details.